Wawa has been keeping the mid-Atlantic fueled with hot coffee for more than half a century. To celebrate 54 years in business, the beloved convenience store chain is now offering an irresistible deal on its signature hot beverage. As ABC Philadelphia reports, Wawa customers can pick up a free coffee of any size all day on April 12. The promotion is part of the company's annual Wawa Day, which marks the launch of Wawa's first store in Folsom, Pennsylvania in 1964. This year, the company is also celebrating reaching its goal of raising $50 million for nonprofits in four years through The Wawa Foundation. “Wawa Day is a great day for us to all pause and thank the millions of customers we’ve served over the past 54 years," Wawa CEO Chris Gheysens said in a press statement. To participate in this year's Wawa Day, just visit one of the more than 790 Wawa locations across Pennsylvania, Florida, New Jersey, Delaware, Maryland, Virginia, and Washington, D.C. and grab a brewed coffee. The chain expects to give away 2 million free cups of coffee as part of the promotion. While the first official Wawa store opened 54 years ago, the company's history goes back more than two centuries. It started as an iron factory in 1803 before becoming a milk processing plant in the early 20th century. As the milk delivery business began to slow down, Grahame Wood, the grandson of Wawa founder George Wood, reinvented Wawa as a food market, laying the foundation for the business it is today. 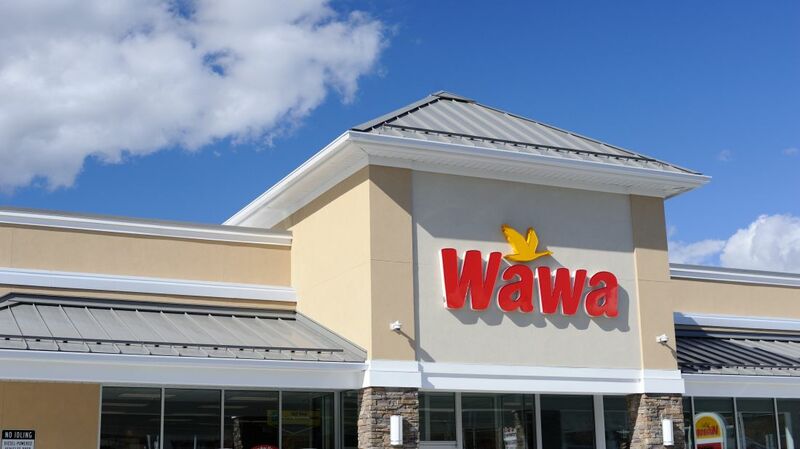 For more company trivia, check out our list of fun facts about Wawa.